Today is Day 2 of Denton Registry Week’s 3 days of surveys. 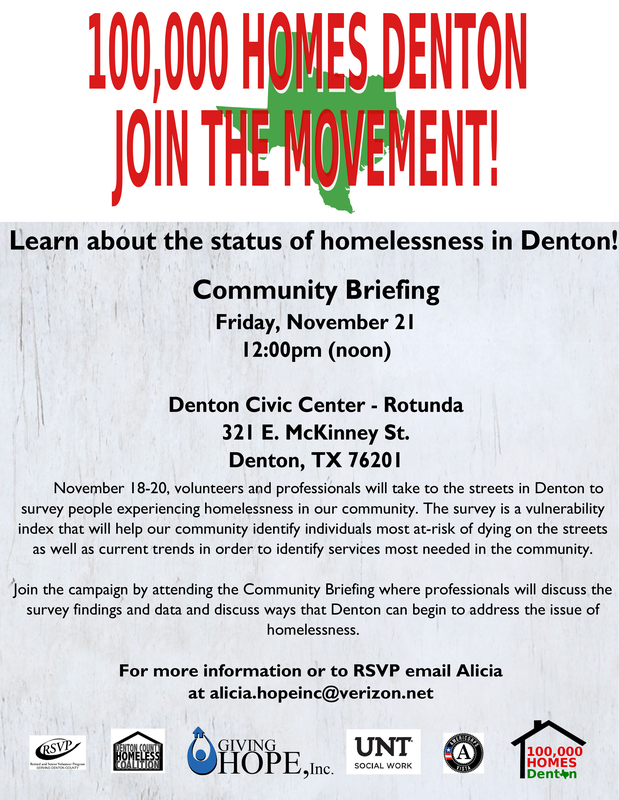 Volunteers are out and about completing 100K Homes Vulnerability Surveys with homeless citizens around Denton. Friday’s Community briefing will identify the top 5 most vulnerable and begin the process of moving them into stable housing with wrap-around services to help them maintain stable housing.